Ezra Pound forever changed the course of poetry. The author of a vast body of literature, his enormous range of references and use of multiple languages make him one of the most obscure authors and-because of his Fascism, anti-Semitism, and questionable sanity-one of the most controversial. This encyclopedia is a concise yet comprehensive guide to his life and writings. Included are more than 250 alphabetically arranged entries on such topics as Arabic history, Chinese translation, dance, Hilda Doolittle, Egyptian literature, Robert Frost, and Pound's publications. The entries are written by roughly 100 expert contributors and cite works for further reading. 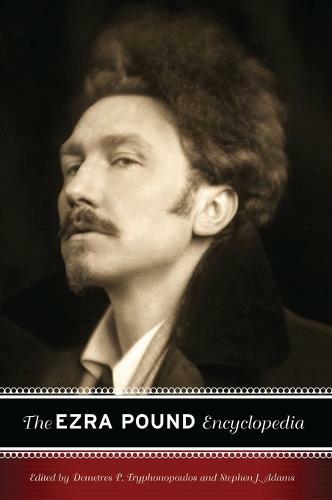 Ezra Pound forever changed the course of poetry. His vast body of poetry and critical works make him one of the 20th century's most prolific writers, and his influence has shaped later poets, great and small. His enormous range of references, deliberate obscurity, and use of multiple languages make him one of the most difficult authors and- because of his Fascism, anti-Semitism, and questionable sanity-one of the most controversial figures in American literary history. This encyclopedia is a concise yet comprehensive guide to his life and writings.